Meetings can be difficult to manage and organise at the best of times, not only can there be technical issues but you also have to get everyone in the same room at one time! GiNiEX Conference Room is an out of the box conference solution that helps alleviate these problems. GiNiEX Conference Room extends the capabilities of the GiNiEX Meet Solution to allow you take a your meetings to any room with a flat screen monitor. If you're ready to schedule a meeting or or join a meeting room all you have to do is click a button. Integrate your calendars with Conference room to make booking easily. 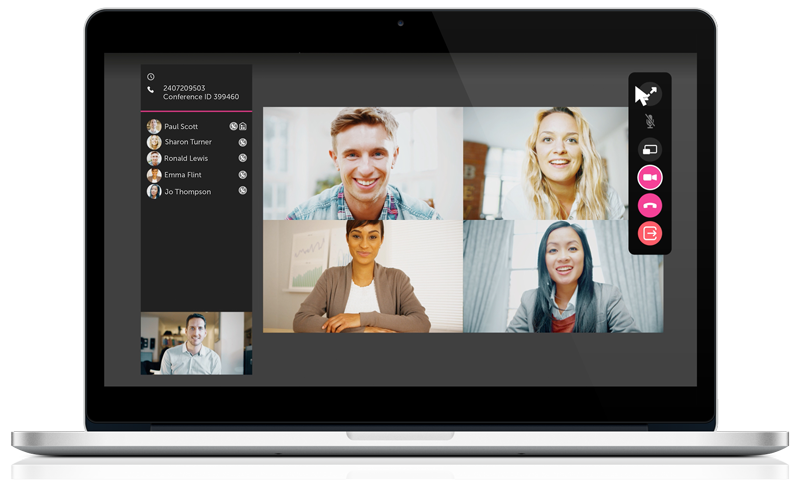 Join conferences and meetings with the click of a button. Need a client or collaborator to join your meeting? Simply send them a link and they can join in, no software required! Need to join a meeting urgently it's easy to get involved with the Conference Room. Simply find the person hosting the meeting and click their name to join. Join a 3rd party conference even if it's been hosted in a different software.